Instagram has grown to become a top social network for both individuals and businesses. 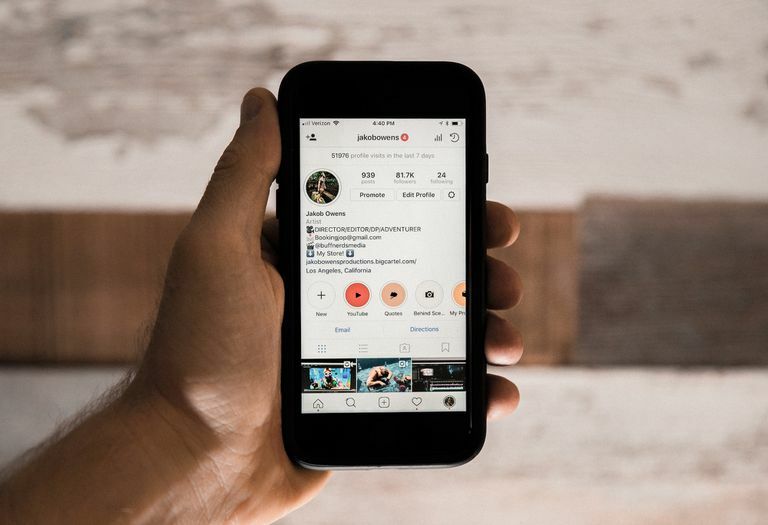 Whether you're trying to build a personal brand or get the word out about something you're selling, it's worth taking advantage of some of the best third-party Instagram apps that are out there. Price: Free with upgrade options for higher post limits ($15 a month and up). You probably don't have time to be on Instagram all day long, but posting at the right time of the day can mean all the difference in how your followers see and interact with your content. Buffer makes it easy to schedule posts so that they're automatically posted at certain times of the day and on certain days of the week. Buffer tops our list because it's one of the simplest tools to start using immediately as soon as you sign up. It's one of the least complicated social media management tools available. With Buffer, you simply select an image or video file and then add it to your queue. It will be scheduled to post at the next upcoming time. If you want, you also have the options to post it immediately or schedule a specific time (not in your queue) for it to be posted. To customize your queue, you can go to your Settings tab > Posting Schedule and either add or delete posting times. Buffer has included a variety or posting times by default based on when social networks see the highest activity, but you can change these however you like (and even turn posting off for entire days at a time). We love that Buffer lets us set it and forget it. Thanks to the queue, there's no need to schedule each and every post one by one (unless we want to). The queue can be paused at any time so if anything comes up, posting can be halted for as long as you need. If you thought that Buffer only worked with scheduling photo posts, think again! You can do it with video posts as well. An emoji feature is even available for helping you craft your descriptions. If you want, you can use Buffer with other social networks too including Twitter, Facebook, LinkedIn and Instagram. Later (formerly Latergramme) is another top Instagram app for post scheduling, but that's not all it does. If you want more of a complete Instagram management solution than what Buffer has to offer in terms of post scheduling, Later might just be it. With a free account, you can schedule up to 30 photo posts and collect user-generated Instagram content to repost to your profile. Just search a hashtag and Later will grab the original, high-quality photo for you to repost it. A premium account gets you so much more. You can view, manage and reply to all of of your comments from within the Later dashboard so you never miss anything. Price: Free with upgrade options for higher post limits, video posting and more features ($9 a month and up). A free Later account is great if all you need is photo post scheduling and UCG (user-generated) content to repost, but you can take advantage of tons of more features if you upgrade to a Plus or Premium account. For starters, you'll be able to schedule video posts in addition to photos. What makes Later really stand out however is that it's a tool that's truly unique to Instagram. It's one of the only tools out there that has a Stories feature for planning and scheduling stories. You can tag locations and users in single-photo posts or try the hashtag suggestion feature by searching a hashtag to generate a list of related ones. Later can even help you optimize your scheduled posts with its Best Time to Post feature. Although Later is highly tailored for Instagram, like Buffer you can also use it with profiles you have on Twitter, Facebook and Pinterest too. If you don't know what's working and what's not working for you on Instagram, how will you know what to do more of and what to cut back on? Instagram users who are serious about increasing engagement know that their stats can give them a lot of clues, and while Instagram's built-in analytics tool for Business profiles can be a big help, it doesn't compare to what Iconosquare offers. Iconosquare was built for Instagram accounts that see a lot of action, which is why the tool isn't free. It lets you do nearly everything that Later does and more. In addition to scheduling photo and video posts, you get advanced analytics that give you a deeper understanding of who your followers are and how they're engaging with your content. You can even track your competitors to see just how your performance measures up to them. Price: 14-day trial and then $29 a month for a Pro account or $59 a month for an Advanced account. Not every Instagram account needs a tool as advanced as Iconosquare, but the free trial is worth signing up for to help you decide. In the meantime, you can take advantage of a few of Iconosquare's free tools—particularly the free Instagram Audit, which involves an analysis of your profile and a performance review sent via email along with tips on how to optimize your profile for greater engagement. We weren't lying when we said that Iconosquare excels at analytics. Besides getting access to valuable engagement insights, you also get to see your post reach and impressions, video views, follower demographic information like age and gender, Stories analytics and so much more. While you're busy drooling over all that data, you won't need a separate tool to do everything else. You can still schedule posts, manage comments, track hashtags and do all sorts of other Instagram-specific activities through Iconosquare. Iconosquare can also be used with Facebook. Taking or finding great photos for your Instagram photo posts is half the battle. The other half is getting your followers to act on some sort of call to action. With Canva, you can add visual elements to your photo posts that grab your followers' attention by informing them about something or inspiring them to do something. This free graphic design tool has virtually no learning curve to it and comes stocked with all sorts of amazing, high-quality elements for you to use. Whether you want to get followers to like an amazing quote you've shared, click the link in your bio for a sale you're having or leave a comment on what they love most about a seasonal holiday, Canva can help you do it. Price: Free with options to purchase premium graphics for $1.00 each. There's also a 30-day trial of premium Canva for Work subscription (after which is $10 a month). You can upload your own photos to Canva to work with or create one from scratch with the option of using a pre-made template. Search for elements to add from Canva's huge library including stock photos, illustrations, shapes, lines, arrows, symbols, frames and more. Canva autosaves your work every few seconds so you never have to worry about losing your work. Any images you upload can always be accessed from the Uploads tab and you can take advantage of the Folders tab to organize your designs. Canva's drag-and-drop functionality makes it easier than ever to work with, which is why we love it. When you're all done, you can instantly download your design in the high-quality file format of your choice (such as JPEG, PNG or PDF file). Canva isn't as advanced as Photoshop, but it has enough features to make it one of the most powerful free graphic design tools available. If you want to create a professional looking Instagram post in as little as a few minutes, Canva gets the job done. Canva might be the top graphic design choice for creating photo posts, but for video posts and stories, Adobe Spark is the way to go. It's also a popular graphic design tool similar to Canva, so if you're looking for an app to use for both photos and videos, Adobe Spark is it. Everyone knows that video is hot on Instagram‚ and people love viewing Stories almost as much—if not more—than regular posts. Adobe Spark can help you stay on trend and get your followers to really pay attention to what you have to share on video. If you already have an Adobe Creative Cloud subscription plan for all Adobe apps, you might already have access to the premium version of Adobe Spark. Price: Free with limited features or $10 for use of Adobe Spark as a single app or $53 a month for use of all Adobe apps (including Spark). When you start a new project and select Video, you'll be able to choose from a selection of existing video templates or alternatively create one from scratch. Add as many clips as you want and use the video editor at the bottom to edit each scene with your own text overlay, music or anything else. What makes Adobe Spark one of the best apps for dressing up your videos is the painlessness of using it and the speed at which you can create. You don't necessarily need any advanced apps or features to create a video that will engage your followers. To make sure your video is looking good, hit the Preview button anytime to give it a watch. Adobe Spark doesn't offer advanced features that other video editing software might, like fancy transitions or filters, but it certainly has enough features to help you create simple videos for Instagram. One big downside to using the free version of Adobe Spark is the watermark that's added to all of your photo designs and videos. There's also no vertical full screen template option to create videos, which is how most people tend to watch Instagram Stories.